Our experience in Pharmaceuticals is extensive. 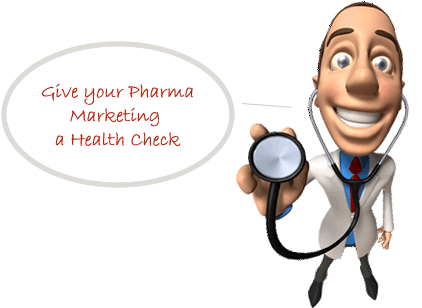 We have marketed to many healthcare professionals over the years- Pharmacists, GPs, Specialists as well as to Consumers. The work we have produced has been designed, written and produced materials (delete materials) for use in pharmacies, doctor's surgeries and hospitals. We understand that the challenges of advertising and marketing to consumers under the constraints and restrictions imposed by the Therapeutic Goods Act (TGA) and Medical Council Advertising Code can be difficult but that should not be your stumbling block. Our knowledge and experience also covers many categories of products including complementary medicines, OTC and prescription drugs. We have a pharmacist on staff to help you with pharmaceutical content writing and produce material that health professionals relate and respond to. Our pharmacist has worked in retail pharmacy and has an excellent understanding of customers' needs. She has also been privy to a large number of sales aids used by many companies to sell their products; she has attended 'training' sessions held by companies and their reps and has herself trained pharmacy assistants. She can share that experience with you and advise you what it takes to get a product moving off the shelves in pharmacy. Our pharmacist has also worked as a Hospital pharmacist and can give you insights into marketing to hospital pharmacists. In her experience as a Product Manager and Marketing Manager with various pharmaceutical companies including AMCAL, Sigma and Faulding she has a good understanding and appreciation of the issues surrounding the marketing of pharmaceuticals and the ways to overcome those challenges. As an agency, we are very familiar with the dynamics of pharmacy, pharmaceutical companies, pharmacy wholesalers and hospitals. With over 20 years experience in the pharmaceutical market, and having been involved with many brands, we can steer your brand in the right direction with marketing strategies and collaterals that work. We certainly know what it takes to make your brand rise above your competitors. 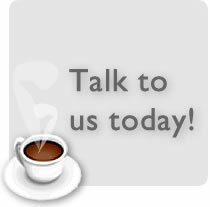 We have been providing simple and clear communications to Pharmacists, GPs, Specialists and Consumers over many years. We are also familiar with the Therapeutic Goods Act (TGA) and Advertising Code. We understand the advertising restrictions when advertising to the general public. Our knowledge and experience spans across all pharmacy categories. We have a particularly strong background with Complementary Health and Over-the-Counter (OTC) Medicines which also includes 'Pharmacist Only Medicine' and 'Pharmacy Medicine' as well as Prescription Medicines including Generic Medicines. You will find our pharmacy knowledge will come in handy when it comes to leveraging companion selling and product recommendations.